Coupe-like SUVs are wildly popular today. BMW started the trend with the original BMW X6. What an ugly thing that car was, yet it sold like crazy. Customers loved its odd styling that gave them something sporty looking while also riding high and feeling like an SUV. When the X6 first came out, journalists laughed and mocked, claiming that such a useless vehicle would have no place in the market. Boy were we wrong. 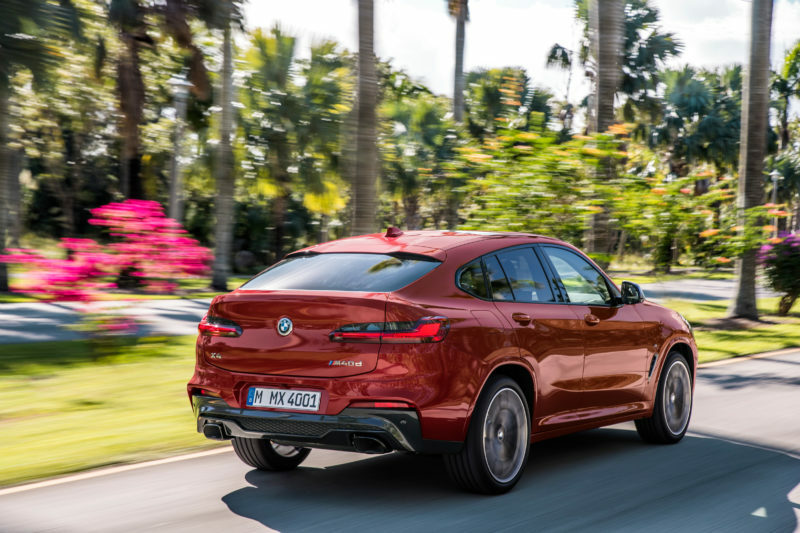 Since its inception, the BMW X6 has done incredibly well and it’s spawned numerous copycats, including the Mercedes-Benz GLC-Coupe and this, the brand-new BMW X4. Admittedly, this is the second generation of the X4, as the first one only lasted a few years. It’s a massive improvement over its predecessor, as that car was truly odd looking. This new one, though, is far better looking, even if it isn’t exactly pretty. It’s smooth, muscular and seems well thought out, whereas the last one seemed like a butchered X3. It seems quite impressive as well, as it’s built on BMW’s new lightweight architecture and it boasts all new engines. We’ve actually driven the new BMW X3, the car on which the X4 is based, and thought it was excellent. In fact, we’d go as far as to say that it’s the best car in its class, even better than the Audi Q5. So if the X4 can build off of the X3, make it sportier and drive better, it should be a very good car indeed. The X3 model we tested was the M40i version, which is BMW’s M Performance version, something akin to the Audi SQ5. The BMW X4 will be getting an M40i variant as well, along with a new model — the BMW X4 M40d, which will be a performance diesel. 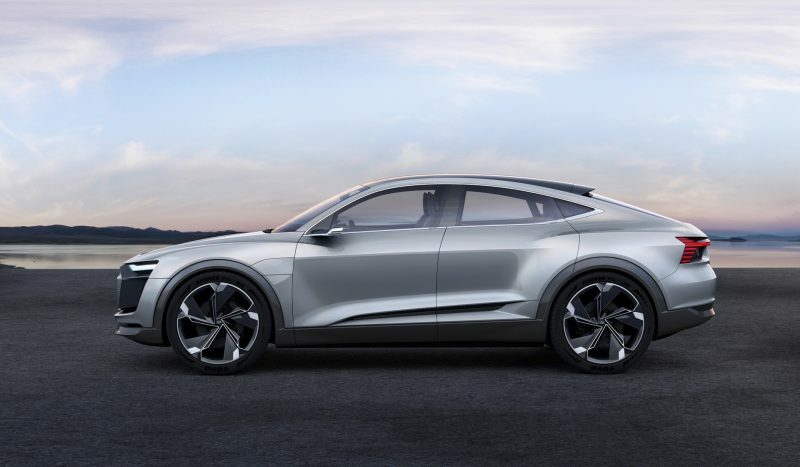 There will also be the typical suite of BMW engines, such as a 2.0 liter turbocharged four-cylinder and a 2.0 liter turbo-diesel. But the two performance versions are want enthusiasts want. The X4 M40i will make 355 hp and 369 lb-ft of torque, just like its X3 counterpart. While the X4 M40d will make 326 hp and a whopping 501 lb-ft of torque. Audi doesn’t have a performance diesel version of the Q5 but maybe this X4 M40d makes the folks in Ingolstadt think twice about one. With this new BMW X4 looking impressive and featuring two performance versions, it seems that Audi is really going to knock it out of the park with the Q4. The X4 isn’t the only car in the segment, as the Mercedes GLC Coupe is still here, it will be the most recent when the Audi Q4 eventually debuts. Not only will it have to be good but there’s going to have to be an Audi SQ4 and, hopefully, an SQ4 TDI.